Part of MultiRec software which allows to re-encode TS to the lower bitrate and resolution. Input: UDP and RTP IP TS HD or SD\Multicast ot Unicast\SPTS or MPTS\H.264 or Mpeg-2 with any Audio Codec. Output: UDP IP TS\Multicast ot Unicast\SPTS\H.264 with AAC. 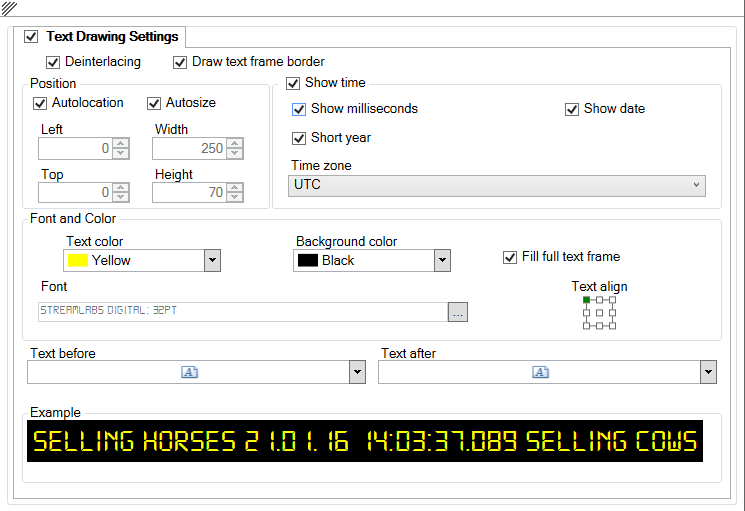 Text Overlay allows to make Date and Time Stamp, Channel name or any Text Overlay during the transcoding TS in Real Time.